Medewi beach is located in the left corner of a bay and the swell does not hit the spot as hard as in the south and south-west. Speaking in numbers, the waves at the Medewi spot usually are 2-3 ft. smaller, compared to Canggu. In addition, this spot is an interesting training ground for intermediate to advanced surfers. On a good day, even step up beginners can have a look. 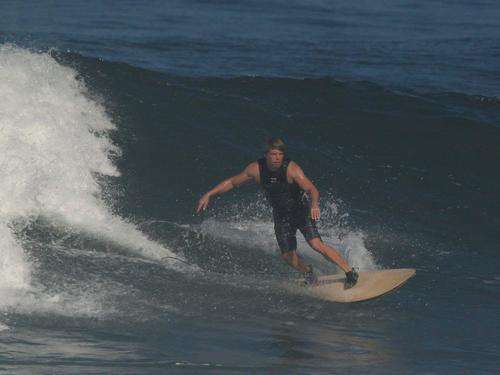 Although Medewi is breaking over rounded rocks, the wave is much smoother than many other pointbreaks and not as dangerous as if it would be breaking over sharp coral reef.Usually it is also not as crowded as many other breaks along the coastline, especially compared with those spots closer to the Bukit peninsula. Contrary to many villages in East Bali, Medewi has a large muslim population. 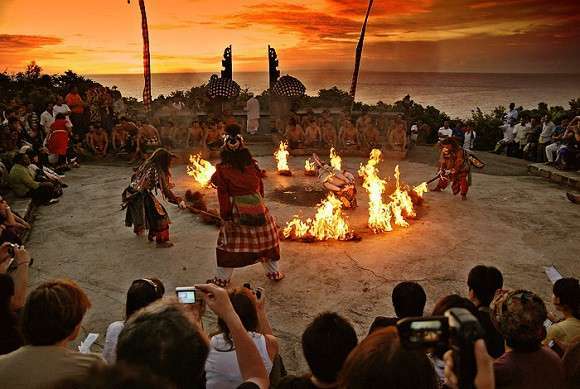 Like anywhere else in Bali, they get along with the surrounding Hindu culture very well. But that’s not the only contrast found over there. The little village is just about to improve to the next step. Shortly after the first tourist resorts have been built in the nineties, Medewi experienced a serious drawback after the terrorist bombings in Kuta in the early 2000’s. Now that the situation is obviously stable again, the village has recovered and as a first sign, you can see a constant effort to improve the infrastructure. The road to the beach gets repaired, some new houses are built close to the shore, more and more little shops open at the main road. In only 5 -10 years, Medewi will probably have changed a lot and the local people are really looking forward to that. Soon after your arrival, you will notice some of the local beach bums. Most of them are members of the Medewi Boardriders Club and their main business model is selling their t-shirts to tourists. With the money from the t-shirt sale, the club helps local kids with equipment and organizes an annual surfing competition. The shirts are quite pricey compared to a typical sweatshop in Bali, but if you are not short on money, maybe consider to buy a shirt or make a little donation to the club. You won’t regret it. The locals know how to appreciate a friendly gesture and will always help you with information about the village, the spot, the conditions and everything else.